Are you looking something unique for your custom Clodbuster? These custom 3d-printed, dual-color gearcase motor covers should do the trick! 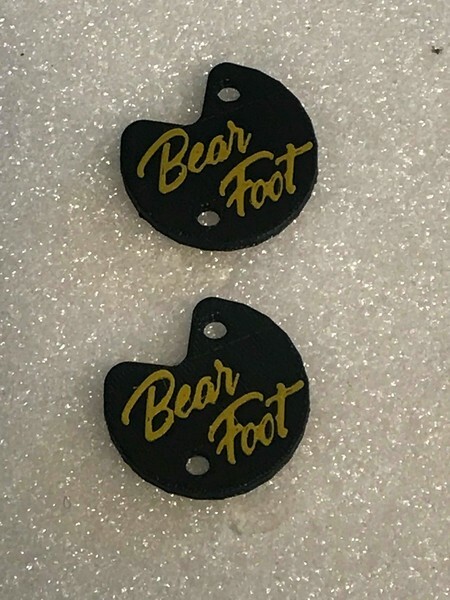 Designed as direct replacements for the stock parts, these covers feature distinctive Bearfoot lettering embossed into them. Shipping Charges: Our standard shipping charge is a flat $5.00. This product was added to our catalog on 10/11/2018.